The Columbus Chamber offers many local business services and member resources that turn information into business insight. The Columbus Chamber of Commerce can connect you with the people, information and resources your business needs to prosper in the Columbus Region. 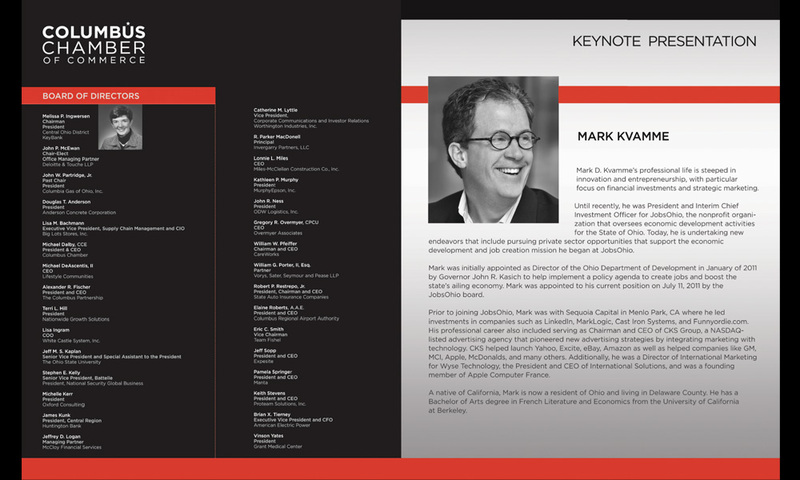 Design a 20 page Program promoting the 2012 Columbus Chamber Business Summit. 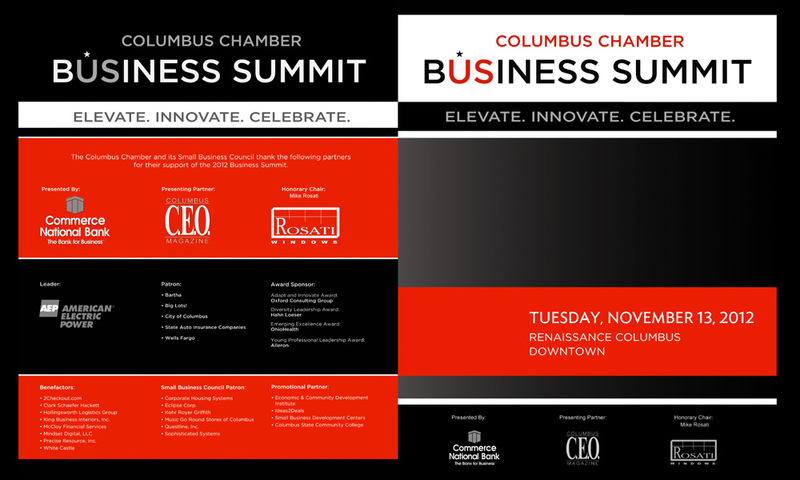 This program is only part of the overall Columbus Chamber Event Branding designed for the client. The package included: Press Ads, Invitations, Envelope, a promotional Invitation, Outdoor Sign and Web Banners. 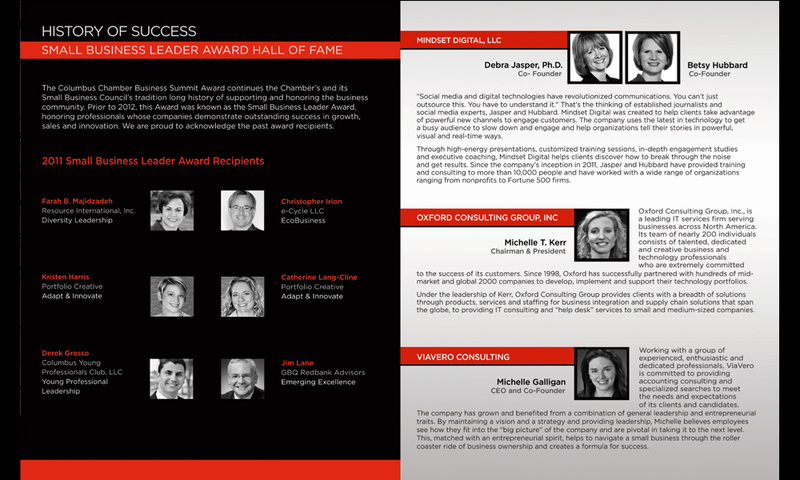 Columbus Chamber of Commerce 20 page PROGRAM – A few pages are shown below.